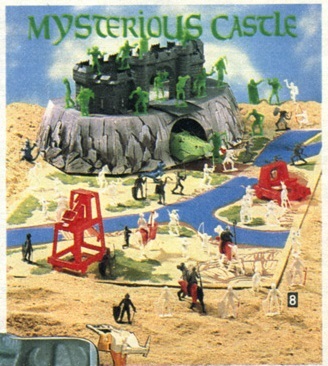 The Dungeon Demons, originally released as Pop-Top Horrors in the 1960s, were used in Miner’s Dragon Crest Medieval Fantasy Adventure Playset (circa 1983). 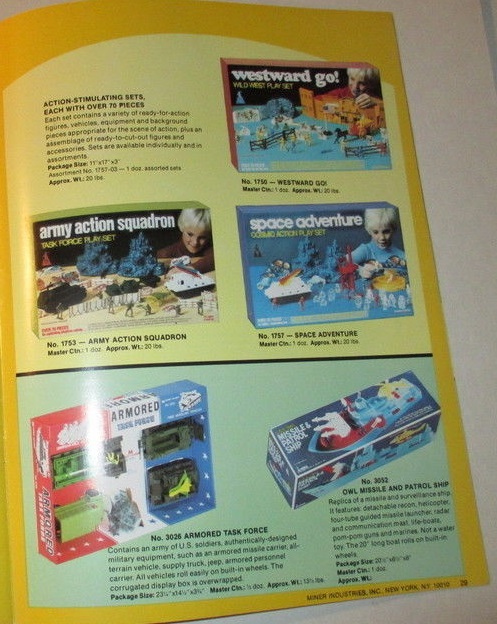 The Space Adventure set appeared in the 1980 Miner catalog (below) with the Star Base and Star Base Command Tower sets. 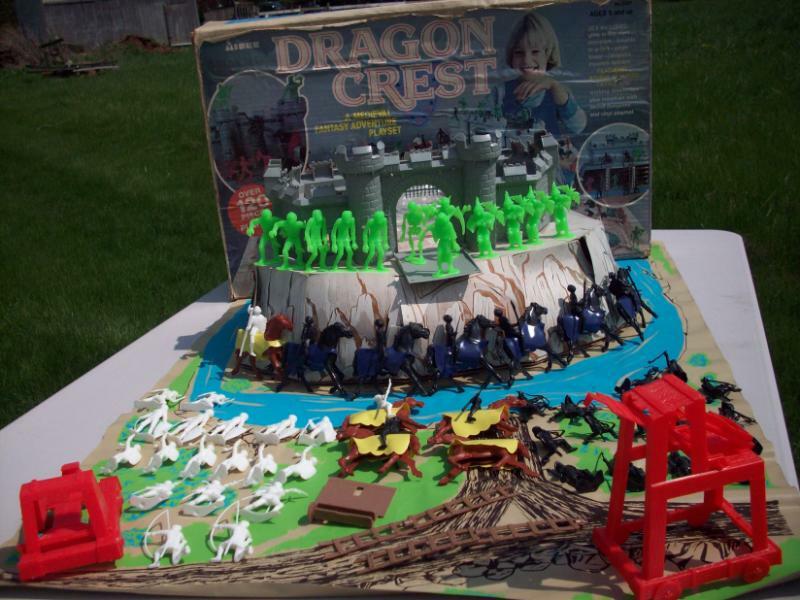 I ran across the Dragon Crest playset at toyranch’s Flickr. 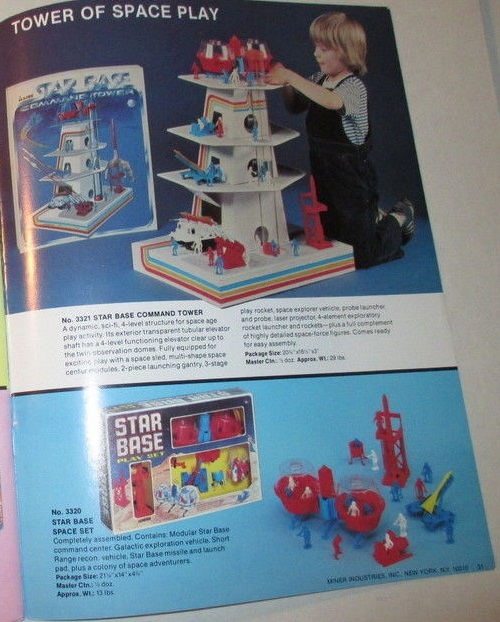 I found nearly the same set, renamed Mysterious Castle, in the 1982 Sears Christmas Catalog. The date on the Dragon Crest set is a guess. 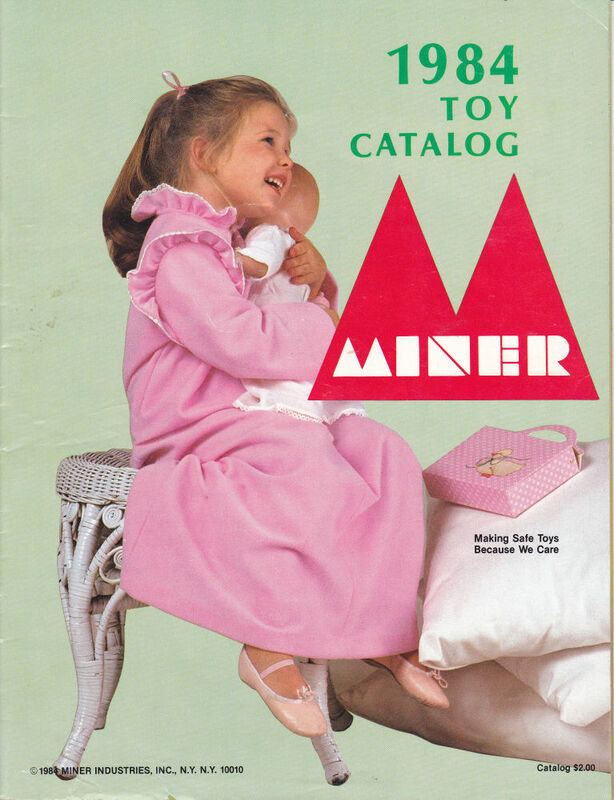 At some point in 1979, Multiple Toymakers ceased operations and Miner Industries partnered with Union Major. 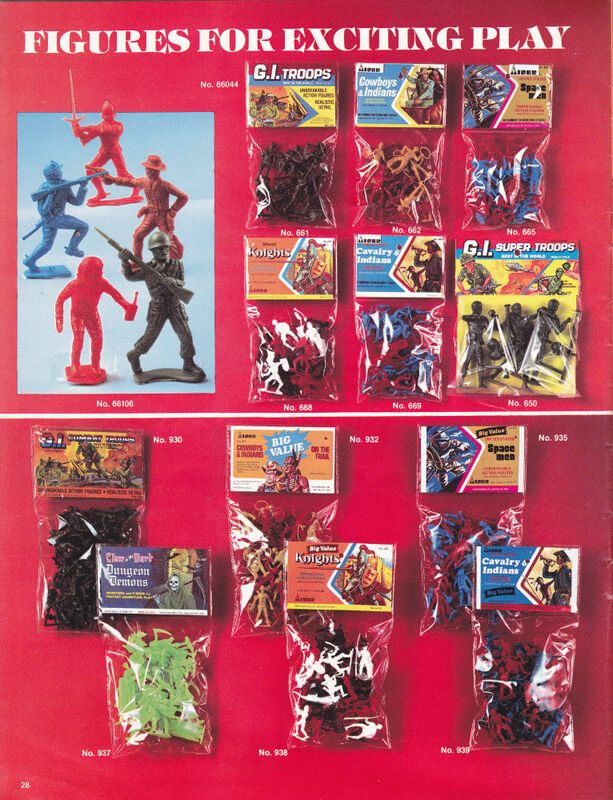 Many or all of Multiple’s molds fell to Miner, much like Mego acquired various Marx Toys’ molds in ’79. 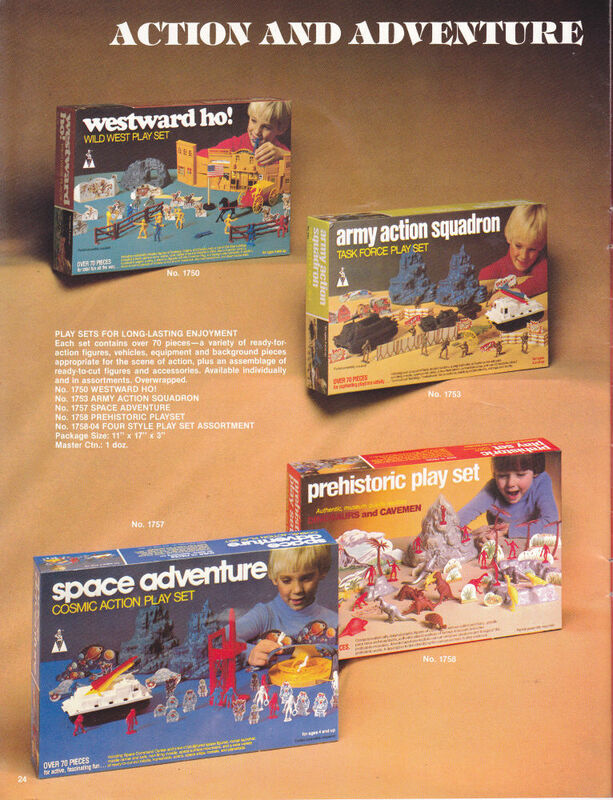 It was the year that marked the beginning of the end for the traditional playset. The big addition to Mysterious Castle is the cheesy dragon and his/her lair. The mat is also a little different. 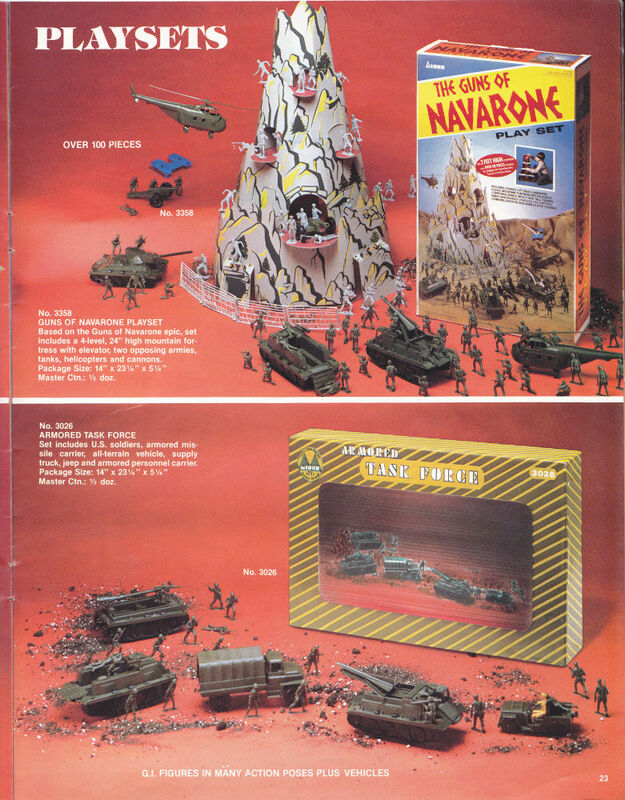 Beyond that, it looks like all the pieces have been recycled from previous Multiple sets, including Castle Attack and Castle Warfare (1964), Battle of the Knights (1965), and Carry Case Castle (1969). 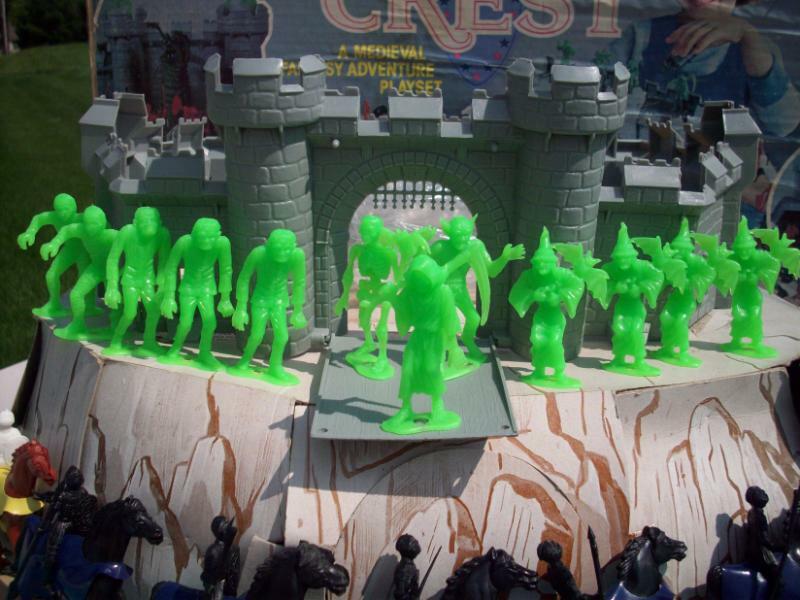 The “fiend” figures are from the famous Pop-Top Horrors designs first produced in 1964. Marx started putting out medieval sets in the ’50s, but Dragon Crest marks the first time the traditional knights/castle theme was combined with monsters, including dragons, thanks to the booming fantasy/D&D market. UPDATE (4/6/14): I’m now betting that DFC’s Dragonriders of the Styx Fantasy Playset (1981) was the first to present a theme inspired by D&D. That would mean Dragon Crest was released at some point after Mysterious Castle. I’m changing the date on the set from 1981 to 1983 for now.